Happy New Years Everyone! I am planning some surprises for next week, so come back in the next weeks for my re-launch (fingers crossed), a contest or two, and a month of healthy recipes! This has really been a great year of cooking, I feel like I have learned a lot and cooked some truly great things. Here are some of my favorite Daily Unadventures in Cooking recipes from 2009. Kale Chips were one of the great discoveries this year. They are not only good for you but they are salty, crunchy and tasty. I think kale itself was a bit of a discovery this year, I also fell for green smoothies, grilled kale and massaged kale. We all know I love pasta, I probbaly cook it three times as often as it ends up here. One of my favorite this year was the Baked Shrimp with Tomatoes and Feta, in fact I just had a reader rave about it. This recipe was also a suggestion from a reader, which I love! Other pasta favorites from this year? Rapini and Feta Cheese with Rotini, Shrimp and White Wine Pasta Sauce with Fresh Tomatoes, and this Zucchini, Tomato, Peppers and Goat Cheese Pasta. For warmth, and ease I love this Curried Red Lentil Soup with Winter Vegetables Leftovers. You literally take your leftover roast vegetables cook the with red lentils and spices and blend into a soup. The sweetness of roasted carrots, squash or sweet potatoes is so nice with spice. I also finally learned to like pears with this Grilled Pear, Goat Cheese and Dandelion Greens Salad. The bitterness of the dandelion greens is so nice with the sweet pears, and it such a refreshing salad. Plus I liked pears so much I even made a caramelized pear pie later on in the Fall. I love this Whole Wheat Zucchini and Cherry Bread Recipe that I put together after a trip to the farmers market. Of course, I love all things zucchini so no big surprise there. I also made some delicious Chocolate Coconut Zucchini Cupcakes, though there was some debate on whether they were actually cupcakes or not. 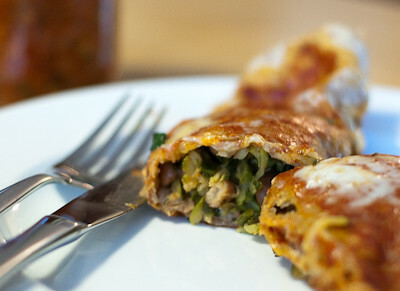 I have recently discovered a love of enchiladas, it’s all about the sauce truly, but these vegetarian Kale, Zucchini, and Pinto Bean Enchiladas were different enough to be truly unique. Oh dear, more kale! There was also a delicious Green Enchilada Sauce I made from fresh from the garden tomatillos. 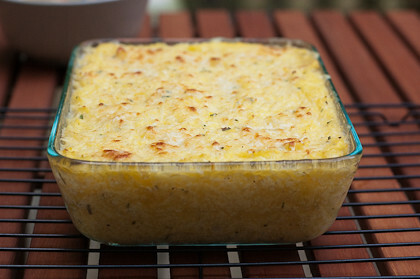 I also loved this Spaghetti Squash Gratin inspired from Laura Rebecca’s Kitchen. It was a huge success and a really nice presentation for spaghetti squash. 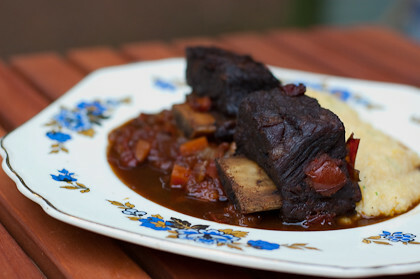 Plus it is very open to interpretation and I saw many other bloggers create it with different variations on flavour. 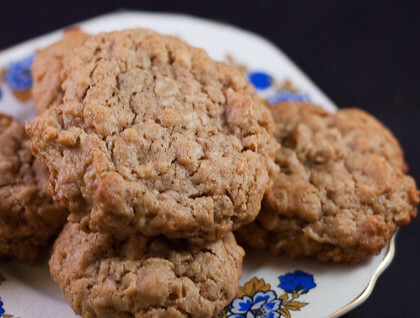 To end with something sweet, I loved these Healthy Peanut Butter Coconut Oatmeal Cookies. So good, no one needs to know they are healthy. Happy 2010 Everyone! Also, don’t forget to update your feed in your feed reader for my move! See you with more new recipes next week. Next post: Welcome to the New Site!